Natacha Rist teaches piano at Powers Music School. She received her Diploma in Piano Performance (eq. Masters in Music/Artist Diploma) from the Ecole Normale de Musique de Paris, and her Master of Music degree in Vocal Accompaniment from Boston University. A Franco-American pianist born and raised in France, her teachers include M. Rybicki in Paris, and A. Rogers, A. DiBonaventura, M. Kroll, Lois Shapiro, and B. Hatheway in Boston. Natacha has completed and registered Suzuki training in Books 1-3 (received her Suzuki training from Dr. Doris Harrel and participates regularly in Suzuki Festivals), and teaches both traditional and Suzuki piano for all ages and levels. Her Early Childhood training also includes: Methodes Actives Martenot, Dalcroze Eurhythmics, "First steps" with Ruth Schechter, and introduction to Music Together and Musikgarten. As a professional instrumental and vocal accompanist, she is employed in many venues and studios, both privately and in several Boston area music schools. An active freelance soloist and collaborative pianist, Natacha performs solo and chamber music in the New England area and in France, and is a founding member of Kharis Chamber Players. In addition, she serves as organist and Music Director at First Baptist Church in Natick. 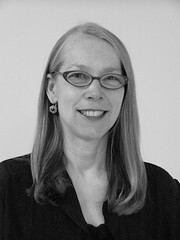 She is a member of the New England Piano Teachers Association and, in addition to Powers, has taught at Creative Arts in Reading and Brookline Music School.